Today’s post looks at one of the miracles of modern dentistry: the dental restoration. Let’s pretend you are a biomedical engineer working in the field of dentistry before the inception of dental restorations. The men and women of your generation who have missing or damaged teeth want to repair or replace them with a man-made substitute. You have been hired to find or create a material that can be used to construct fillings, crowns, and dental bridges. Consider the physical and chemical requirements of this incredible substance. It must tolerate forces of 162 pounds per square inch, hundreds of times a day – day after day, year after year. It must be resistant to cracking and chipping. But there’s a catch regarding its strength; it must not hurt the enamel on opposing teeth. This material must also maintain its size and shape and be resistant to shrinking. And we haven’t even discussed the artistic properties yet. Ideally, this wondrous material would look identical to actual teeth in color, opacity, and translucence. 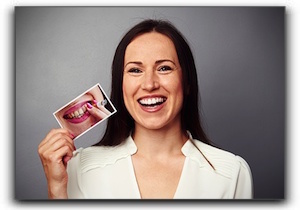 Of course, we know that such an item exists because dental restorations have been around for a long time. At this time, there are numerous materials used alone or in combination including porcelain, ceramic, and metals such as gold and silver amalgam. Though the metals are exceptionally strong and malleable, they don’t meet some patient’s esthetic requirements and are used mainly for back teeth. Harris Dental offers CEREC same-day crowns, cosmetic dentistry, and much more. Schedule an appointment with us today. Hello friends of Harris Dental! As the saying goes, there is more than one way to skin a cat. And with restorative dentistry in Phoenix, there is more than one way to fix a tooth. 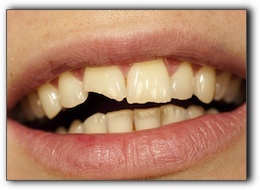 Wafer-thin porcelain veneers can hide a chip or crack, or repair the alignment of a tooth that is slightly crooked. Dental bridges are called that because they literally bridge the gap created when one or more of a patient’s teeth are missing. Two crowns anchor the bridge, one on each side of the gap. These two crowns anchor a false tooth, known as a pontic, which fills the gap. 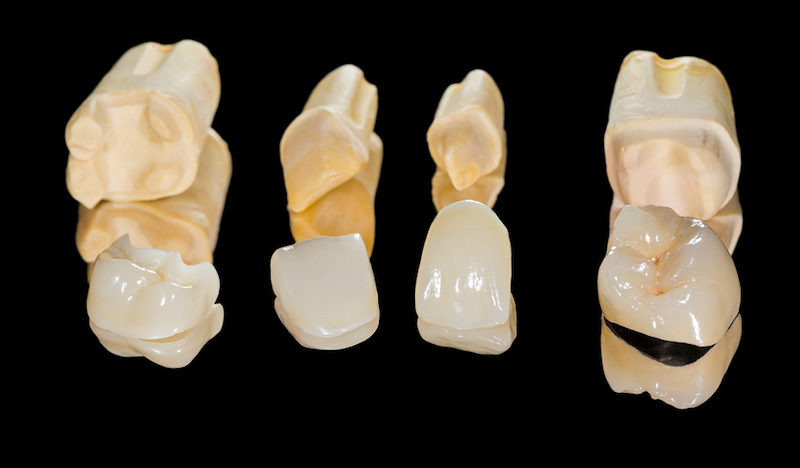 A crown replaces the entire visible portion of the tooth, restoring appearance, durability, and function. Dental crowns are used for teeth that have had a root canal, teeth with severe decay, the replacement tooth in a dental bridge, and the visible portion of a dental implant. Crowns can be made of all metal (such as gold), porcelain-fused-to-metal, all ceramic, or all resin. Many dentists consider a dental implant to be the ultimate restoration because it restores the entire tooth – both root and crown. Most dental implant recipients report that the implant is indistinguishable from a natural tooth. Another boon is the fact that an implant can prevent bone recession which is common at an extraction site. Dental implants are used in a variety of applications such as anchoring dentures and dental bridges. For more specifics about any of these procedures, call Harris Dental. 2. See Dr. Harris Dental right away and get on with life. Dr. Harris Dental at Harris Dental can fix a chipped tooth in a jiffy by determining the right solution and expertly preforming the procedure. Decay, missing teeth, braces, even crowns can impact the course of treatment. We’ve been around since 1979 – serving your neighbors in Phoenix and improving smiles for Queen Creek patients. When Phoenix residents need cosmetic dentistry, we’ve successfully managed their treatment. When Mesa patients have needed general dentistry, we’ve watched happy, smiling patients leave our office. And when you need CEREC same-day crowns, we are happy about the opportunity to make a true believer out of you! 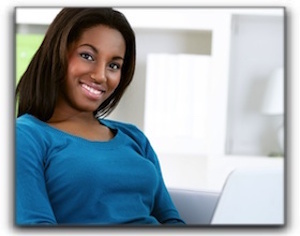 We offer sedation dentistry, CEREC same-day crowns, dental implants and cosmetic dentistry. Trust Dr. Dental to deliver exceptional results. No panic. No mistakes. No worries.